So let's hear it . . .
Do you make a list of things to spring clean, start at the top and make it all the way to the bottom? For me spring cleaning always starts with washing windows. I ALWAYS wash my windows. Sometimes windows are where my spring cleaning ends. At least my windows are clean. If I get past the windows, then I clean all the floors. 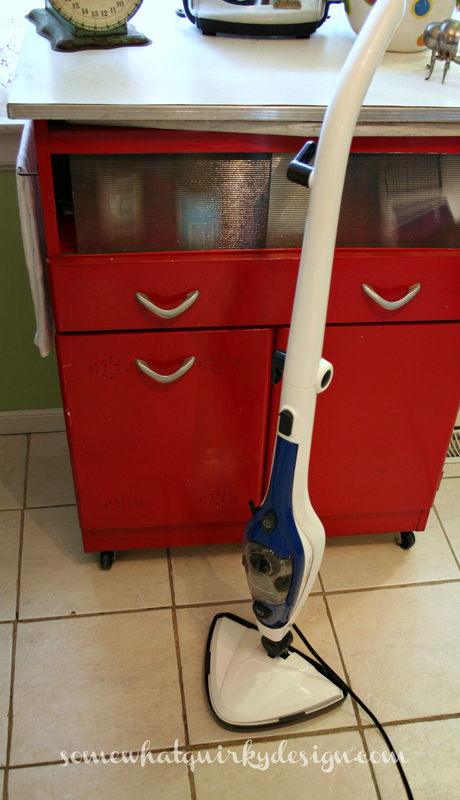 My floors are much cleaner since I started using my HomeRight SteamMachine Plus. I'm going to use it on my windows this year as well. To clean up all the crud that settles in the bottom of the window frame. I'm going to pull out the removable steamer apparatus and steam that crud away. The steam makes it all soft and saucy and all I have to do it to wipe it with a cloth. Who knew that steam made cleaning so much easier?! The generous people at HomeRight want you guys to have a chance to have a SteamMachine Plus just like mine. They are celebrating Spring Cleaning Season. So now, you too, (well, one of you) can mop your floors without breaking a sweat! You deserve to have a steamer you can love too! All you have to do is leave a comment and tell me what you do for spring cleaning. And that you want a steamer of your very own. And leave your email. If I can't get in touch with you, you can't win. PS Please leave your email! I already have comments from people who won't be able to win because I can't reach them! If you already have a SteamMachine Plus or are going to buy one, HomeRight has a rebate that makes it possible for you to receive a free chenille mop pad for your steamer. I always start spring cleaning with windows and then move on to floors and then woodwork. If I had a steam cleaner, I could be like Wonder Woman! Ok, that's a stretch, but maybe I woulnt be such a slug. Spring cleaning begins in the kitchen/living room. The lived in tooms, and with 4 of 7 children, still at home....these are our lived i areas, that we see beyond the mess. But the first spring day ( when the weather is copperatins) brings windows (and yuck the crud thatvsettles in those nooks and crannies. Which involves New spring toothbrushes)and the front porch and its furniture. As sad as this sounds, ever since the kids left home we haven't done anything for spring break except house projects. Those projects include cleaning. I usually wait until June to do windows, but most of the other stuff gets done--floors, bathrooms, etc. I could use one of those!! I go room by room and start by gathering items to sell/toss/donate and then I start the windows and walls and then move on to cleaning/dusting furniture and finally the floors. I am all about simplifying our lives right now and that also includes our home and getting rid of clutter. It would be great to have one of these steamers! I love to spring clean! Windows, floors, deep clean the blinds and dusting the walls and ceilings. The steamer would make life easier! But before the spring cleaning is the constant picking up after the four other people who don't seem to know how to pick up after themselves. Always begin with clean inside and outside windows, power spray brick house, vinyl siding house and concrete patio. Clean around ceiling and walls and dust boards. Under appliances and curtains/drapes. 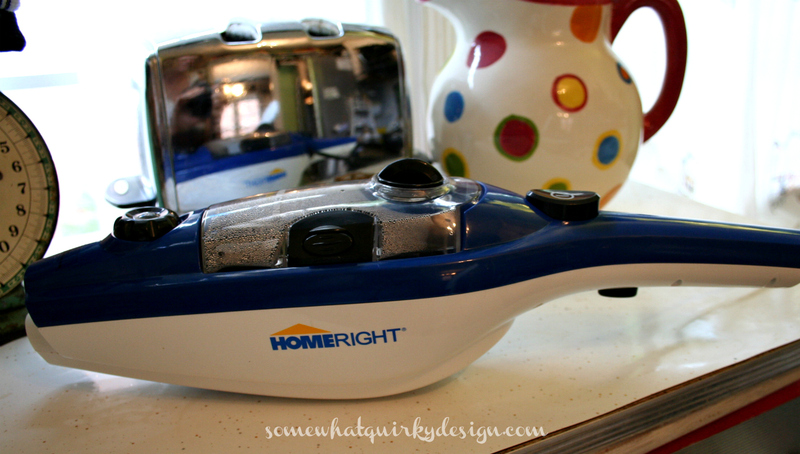 I would so like the HomeRight Steammachine Plus you recommend for cleaning my house. Seems I do Fall cleaning, Summer cleaning, Winter cleaning AND Spring cleaning. I'm not partial to any one season. But I have wanted one of those steamers for a while now. I start with dejunking every room in the house, then the fun cleaning starts. I could really use the steam cleaner to clean the bathroom and kitchen. Thanks of the opp. to win. I would love to win this steamer! I like to clean room by room so as not to overwhelm myself and I get everyone to pitch in so it's not one person cleaning up the mess of the entire family. I clean out everyone's closet's and declutter around the house. Then I mop, sweep and dust. I also clean out the windows and blinds/curtains. The list goes on and on. I'm doing spring cleaning now and with a new puppy...well, you know the drill! Lots of kitchen tile cleaning from puppy pee. I won't be doing windows umtil all the yellow pollen is over with. I cracked up at the "saucy" description. I could use a new steamer! I put away all winter/fall things. Then I declutter, throwing out or donating whatever I can. I clean out all the closets and then I vacuum and wash floors. I'm even planning to paint all the rooms to refresh them for Spring. I had a steamer (different brand) and I liked it, but it just didn't hold up to all of my cleaning (spring & otherwise), we live on a farm, you know! :-) I would LOVE to have this steamer and see how it holds up to farm living! Dang it I didn't read this until Friday. I bet it's too late for the contest. I need help with spring cleaning, summer cleaning, fall cleaning, and winter cleaning. I haven't got past the thinking stage of spring cleaning. Unless you count cleaning out the flower beds. I don't. Cleaning and gardening aren't the same. I go through the house and look for donations. Then we have "junk day" at the end of April, where we can put things out on our curb. I also paint, and clean windows and try to repair all of the wear and tear from the winter months. I must say I was a little let down. My right hand is cooperating today so I am responding to a few emails and checking blogs. I was hoping for a picture of a gorgeous cake. I am cheating a little on Spring Cleaning this year. I feel totally pampered. I can't use my right hand to wash my hair so I have been going to the beauty school where one of my former students is studying and she washes/blows out my hair for $5. And then, we hired a service to clean the house because I can't pull a vacuum around. I can't believe how clean they make the house, But, then, I can't believe how much money they charge! I love using steam to clean. I would use it not only in my house but my little Garden Cottage too. Lordy, I didn't even know you could steam clean windows! Grout... horrific, gunky, grungey grout. The white tile floor should have been laid with black grout. Then there is the shower.... and I'd steam the throw rugs too!! I started spring cleaning my garden today! I have borrowed my sisters steamer for my floors. Would be great to have my own! My email is queensdap @ CenturyTel dot net. Thanks. That's a great prize! Once you've used a steamer, you realize how much time you've wasted trying to clean other ways. I need a steamer! Ok, maybe not need, but I sure would like one. I'm sure my house cleaner would use it. It would probably make her job a whole lot easier. What a great giveaway!! I think I love spring cleaning because it gives new life to the house - out with that stale winter air and dust and in with fresh!! I am so behind in so many projects..if I had a great cleaner that that, I would definitely get it done! I would dearly love to win this. I start Spring Cleaning by decluttering. What a great idea to use this steamer for your window sills! I too love clean windows in the spring, let's all the luscious sunshine in this time of year. Here in the northeast it hasn't been quite warm enough to do the windows but the spring cleaning bug hit me so I started by completely emptying my pantry, fridge and cabinets. I threw out out dated food, utensils rarely used etc and thoroughly scrubbed all surfaces. The best part was using beautiful containers and storage racks to completely organize before putting it all back! Love this giveaway. What a wonderful way to start the deep spring cleaning. I go room by room that way it does not seem that overwhelming. Thanks for the chance. wow thanks for the chanced to win this! i read one of the other comments and have to agree with her. i don't really spring ,Fall,winter or Summer clean.... i seem to Clean ALL the time, and i hate it. so if i was to win this maybe i would not hate it as much. My brick floor is ALWAYS in need of cleaning. Dogs and people are tramping in and out all the time with crud on shoes. That is where I would START my cleaning! I used to scrub and clean and wash and do everything orderly and quickly! Now I am lucky to get the floors done.. haha! I think I need some steam!! Hi I'd love to deep clean everywhere. We've been in our house 12 years now and while I do spring clean there's always more to do.